Pink & Orange Monogram 40th Birthday Party! 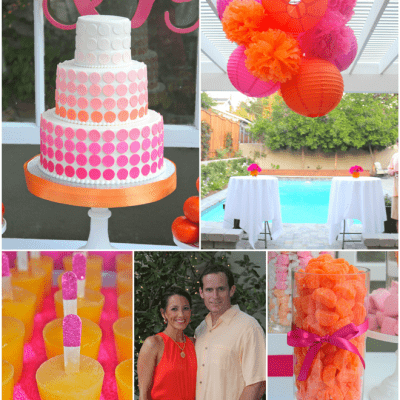 Check out all the WOW details of this preppy pink and orange monogrammed 40th birthday party! BAM! 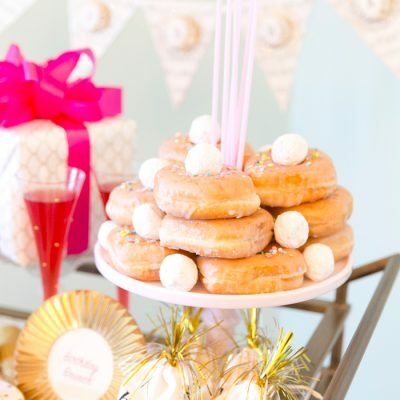 It’s time to check out this SUPERHERO 30th Birthday Dessert Table! 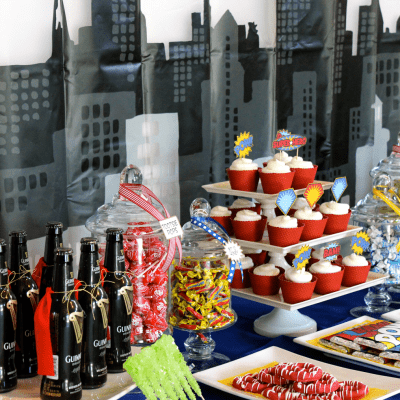 The birthday guy loved comics and beer so Eye Candy Event Design styled up this AWESOME table! AMC’s Mad Men Inspired Birthday Party! 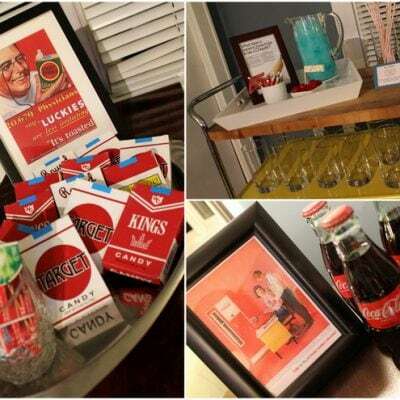 The success of AMC’s Mad Men has resulted in lots of requests for Mad Men party ideas. 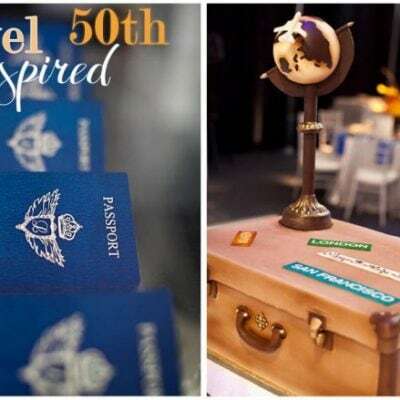 Well, ladies, this Mad Men 30th Birthday Party by Rebecca Lemon of This Nest is Best is all the inspiration you’ll need! 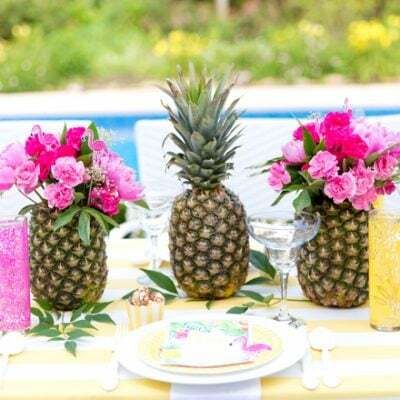 From food, decor, costumes, and of course – COCKTAILS – Rebecca touched on all the details of the “1960s Madison Avenue” era. 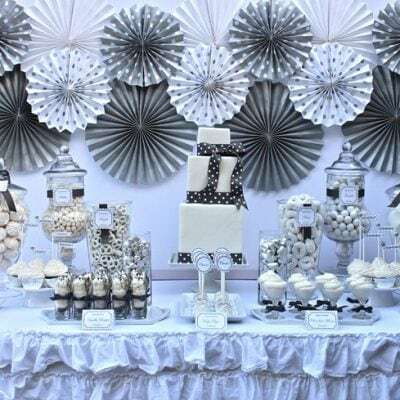 Silver & White 25th Birthday Celebration! To highlight the 25th anniversary of her birth, she chose a silver and white color scheme. Gorgeous!It featured a champagne station and tons of delicious desserts. 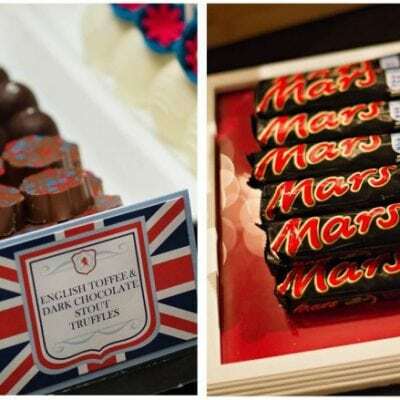 Nicole of Dough-A-Deer wanted to celebrate her husband’s English heritage and his birthday with an English-themed birthday bash held at a pub! Now, that’s a way to celebrate a birthday! 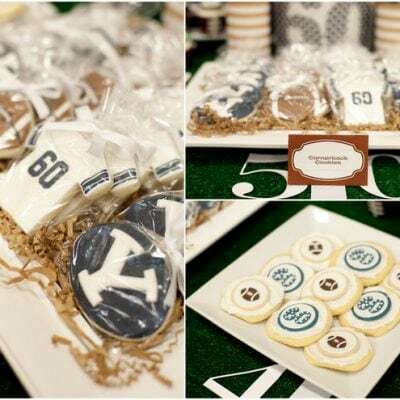 Surprise 60th Birthday Tailgate Bash!